DNA testing company 23andMe has announced that they have reached the significant milestone of 100,000 individuals tested. 23andMe customers test for one or both of two reasons. Some test to gain some insight to into how their personal genome may affect their health. At this time 23andMe is not testing all genes that may have health implications. However, it is a start in allowing individuals to have direct information about how the genes they have inherited may affect their future health. "According to a 2008 survey conducted by the American Medical Association (AMA) and Medco Research Institute, even though 98 percent of physicians agreed that the genetic profiles of their patients may influence drug therapy, only 10 percent believed they were adequately informed about how to test their patients for biomarkers that may predict the safety and/or efficacy of a particular drug." Therefore it is important, and sometimes critically so, that such testing remain available on a direct to consumer basis. As some of you know the FDA has made some recent moves to restrict such testing that is not requested by a physician. DNA testing for health information is just one side of the 23andMe business model. 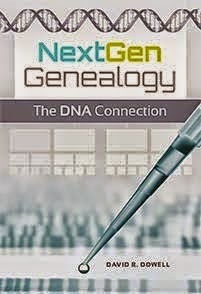 The company also tests for genealogical information. Although information is provided on mitochondrial and Y-chromosome haplotypes, it does not provide detailed reports on those two areas of DNA as do other testing companies like Family Tree DNA (FTDNA). On the other hand FTDNA does not test for health information. 23andMe's genealogy product is called "Relative Finder" and it can be compared with FTDNA's "Family Finder" product. Both are based on testing autosomal DNA rather than that found in the Y-chromosome or mitochondria. Buzz coming out of last week's Jamboree in Burbank gives hope that there may soon be utilities publicly available to compare autosomal results of Family Finder with those of Relative Finder. Dr D was born in Missouri the "Show Me" state so he is carefully watching for developments. Explanations of mitochondrial, Y-chromosome and autosomal DNA testing can be found in earlier posts to this blog by searching "DNA" in the box in the upper left corner of the screen. Such information makes up the bulk of Chapter 10 in my just released Crash Course in Genealogy. GEDmatch is a third party utility that can already compare data from 23andMe and FTDNA's Family Finder. The buzz from the SCGS Jamboree that interested me is FTDNA may soon allow uploads of data into their Family Finder database. Thank you for that correction and expansion. CeCe and I attended different sessions at which Bennett Greenspan gave essentially the same presentation. He was asked to add a second one because of interest in the topic. In the one I attended, he suggested that this uploading may be available within a four or five weeks. We will see if he was being overly optimistic. Thanks for the (tentative) timeline; I really hope it's that soon. My tests are all through FTDNA, but I had my dad test at 23andMe during their Christmas sale. He has lots more matches than I do, but hardly any ever respond. I don't think the majority of their customers care about genealogy. Since both companies use the same chip for autosomal tests now, it's only a matter of adding more IT resources. Adding my dad to FTDNA's database will help determine which side my matches are from.